I am a list addict. And I like to write my "to do" list down by hand. After years searching for the perfect planner, I discovered the bullet journal method last summer and retired my planner. For years, I was posting sticky notes of to-do lists in my planners anyways, so a bullet journal seemed like the best choice for me. Since July, I've used mine religiously and it has definitely helped improve my organizational skills and productivity. 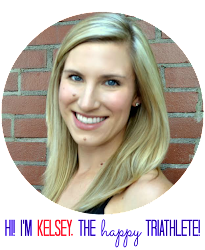 The best part of the bullet journal is that it is completely customizable. Yes, it requires a little bit more work than traditional planners, but it is totally worth it in my books. So, what is a bullet journal? It's the simplest form of planner. Okay, you can have a few more steps than that. The main principle is that you create daily lists of tasks, meetings / events, and items to remember. Each item gets a special bullet and when completed, each item gets an X over the bullet. Items that are not completed are migrated to the next day's list. It is recommended that you number your pages and create an index with a few blank pages at the front of your notebook, so that everything is easy to find. Further, I like to create a "monthly overview" page and each week, I have a "weekly overview." This is where I can write down events and things to remember for the coming month and then in slightly more detail for each week. I do my weekly overview on the Thursday or Friday in advance of the next week. I also include a "goals and bucket list" page next to my monthly overview. Finally, you can add any other lists your heart desires - movies to watch, books to read, places to travel, money spent during the week, weekly workouts, meal plans and groceries, etc. With everything contained in one place, you can stay organized and on top of everything! 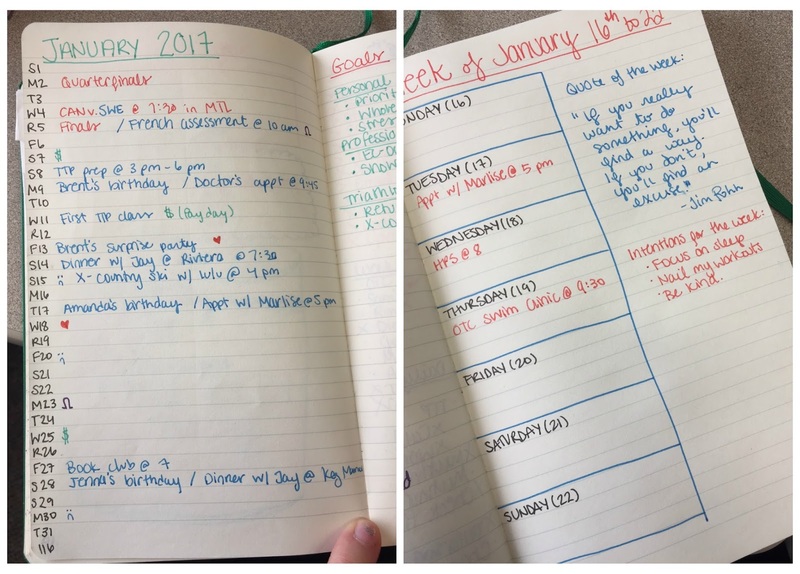 For the athletes out there (this is a triathlon blog after all), tracking your workouts is another thing you can do in your bullet journal. I'm going to start this for the new season, but it is something I have done in the past. I like to write out the workouts for the week, then leave space to write out what I actually did and how I felt, plus any other notes about the workout. While there are obviously a lot more high tech options, and I use those as well, having my workouts in the same place as my other tasks allows me to maximize my schedule and foresee any barriers to my workouts in advance (e.g., a surprise birthday party the night before a big trainer ride). - You can fall into a black hole on Pinterest if you search for bullet journal ideas. I am not an artist and I don't have time to actually illustrate my journal. Figure out what works for you by experimenting and don't get caught up in the hype created by the internet on this stuff. This is a great idea! i love reading suc nice stuff. This blog has been one of my best and i would recommend my friends to log in as well in the hope they wont find it being too much.